You can now track the SIBshuttle on your mobile phone or computer with our new SIBshuttle Tracker App. 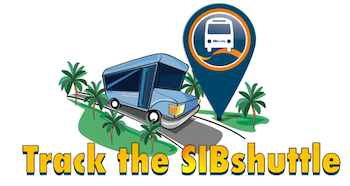 Download the app on your iPhone or Android by visiting your app store and searching for “SIBshuttle.” The SIBshuttle app features a real-time map, a list of stop locations, and service updates. You can also call 305.741.0907 to check shuttle time of arrival for a specific bus stop. 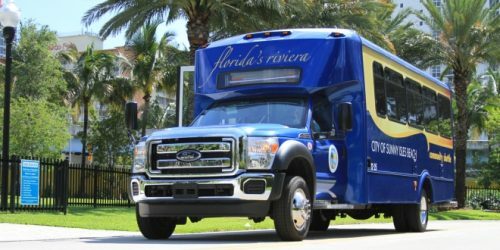 Free transportation provided to and from Mount Sinai Medical Center at 4300 Alton Road on Mondays, Wednesdays and Fridays. Pick up is at 9 am and 12 noon. Return trips will be at 12:30 pm and 4 pm This service does not operate on holidays. Reservations required at 305.792.1706. Miami-Dade Transit buses make several stops in Sunny Isles Beach, including Routes E, H, S & 120 Beach MAX. For more information on Miami-Dade Transit Services and schedules, visit www.miamidade.gov/transit. Miami-Dade County provides Special Transportation Services to those with handicaps. Information for STS is available at 305.264.9000.